I have a pair of Jack Russell Terriers from the same litter. The dynamic duo includes Disney, the brunette, and her brother Riley who looks a lot like Petey from the “Our Gang Comedies.” They are high energy, inquisitive little dogs. And they keep us on our toes. How did your dog pick you to be his fur-ever mom? We had two older dogs who passed within three months of each other. Our house was so lonely without them. We went looking one day at puppies. My husband picked up Disney, and I picked up Riley. We couldn’t decide, so both of them joined our family. They are sister and brother from the same litter. These two are obsessed with sock monkey toys. We have about ten of them around the house. They are JRTs, so everything is a game to them. It is. 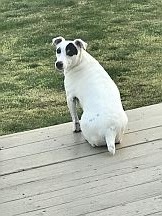 It’s based on my little female JRT. She’s a bundle of energy, a great companion, and she always likes to explore outside. Thankfully, she’s not dug up anything strange. There are two dog beds in my office on either side of my desk. If they aren’t roughhousing, then they’re napping. My husband is a realtor, and people are always leaving things in houses when they move out. That gave me the idea for the random things (that might not be so random) in the story. It took a couple of months to write. But it probably took another three months to revise and polish. They do. In my Delanie Fitzgerald Mystery series, my sassy private investigator has a partner, Duncan Reynolds, and Duncan’s best pal is Margaret, the English bulldog. She’s a brown and white log with legs. She has two speeds, slow and napping. But she likes treats, and she’s a great companion. 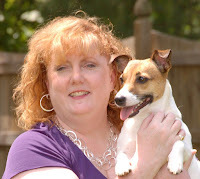 I’m also working on another cozy mystery, and there is another Jack Russell Terrier in it. Her name is Bijou. I love to travel and take pictures. We used to kayak a lot, but there hasn’t been much time for that lately. I love to read, write, and have adventures. Our pups go on many of the adventures with us. Gotta love Darby in Diggin' Up Dirt, one of the To Fetch a Thief novellas! 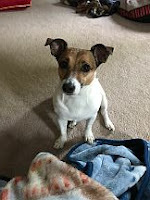 I laughed when Heather Weidner said her female Jack Russell terrier explores but hasn't dug up anything too creepy yet! In Heather's Delanie Fitzgerald mysteries, I get a kick out of Margaret, Duncan's English bulldog--the "brown and white log with legs." Delanie's business partner Duncan is an interesting character, so check out that series. 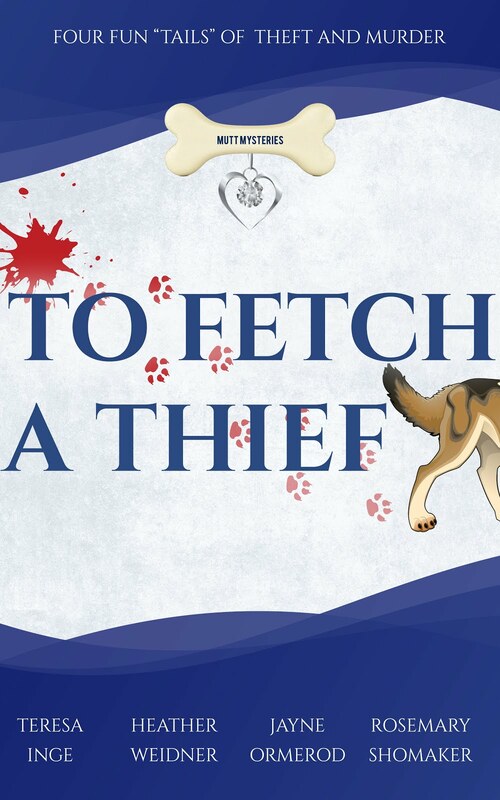 Enjoy Heather's story in To Fetch a Thief, also. You'll get a kick out of the nosy neighbors!